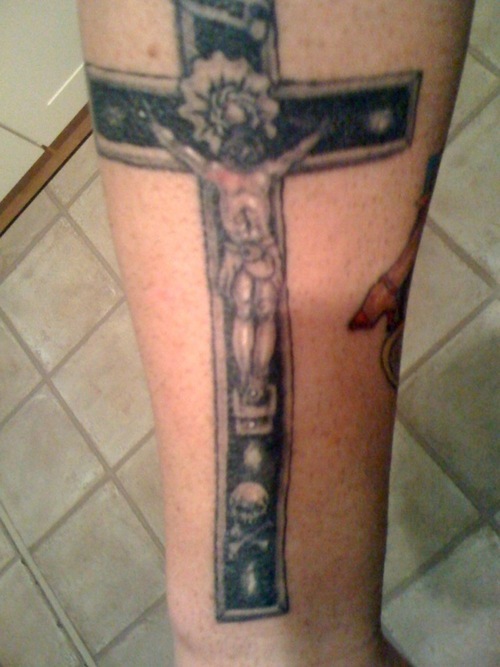 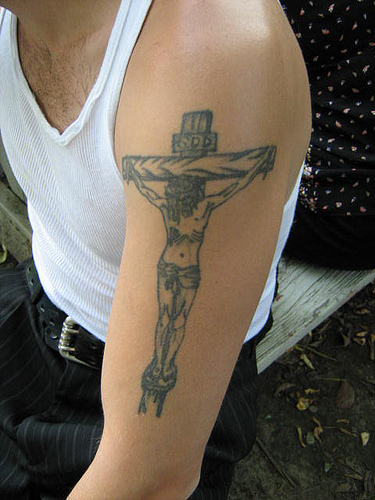 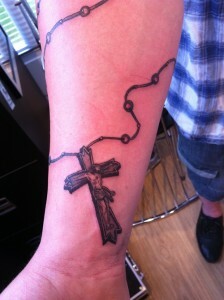 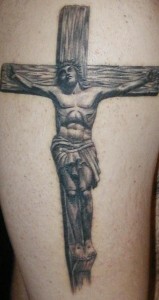 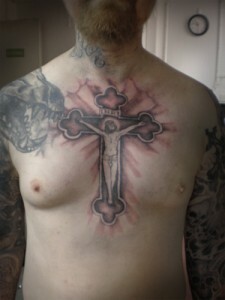 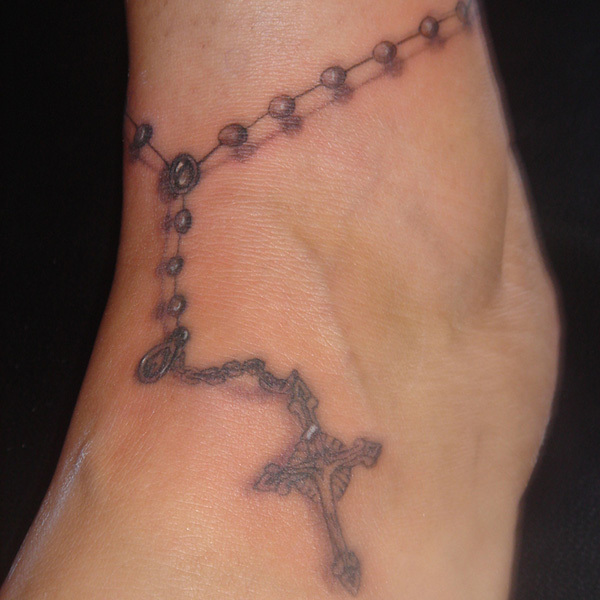 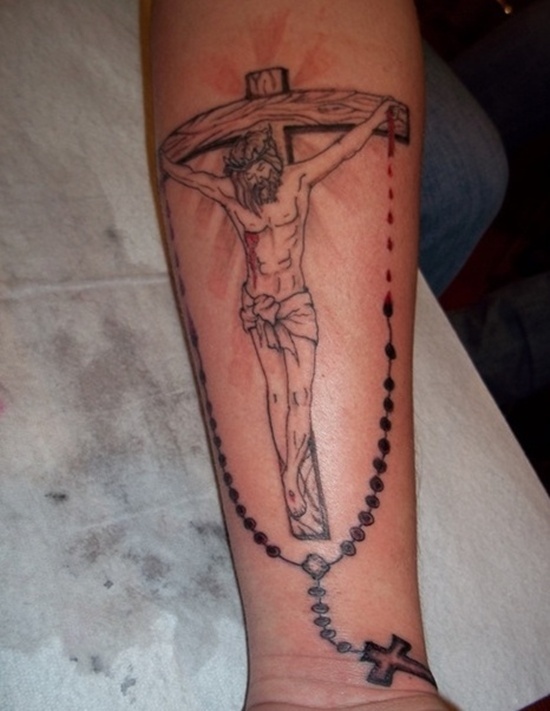 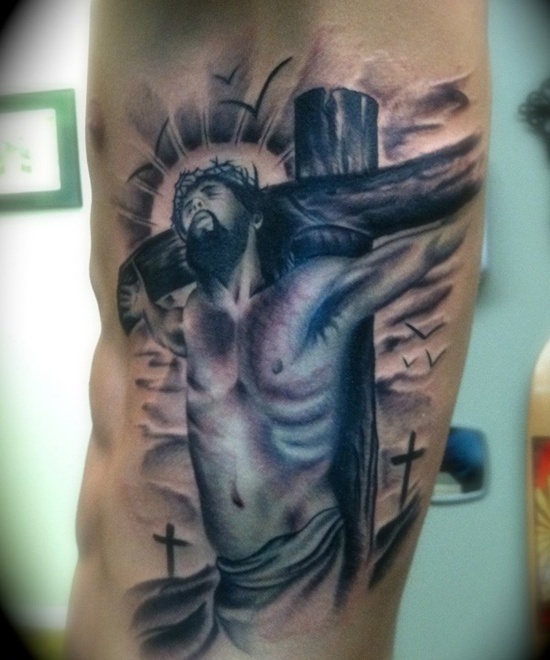 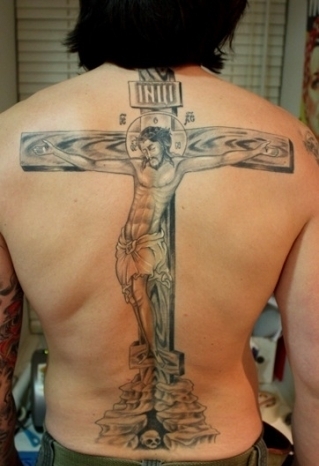 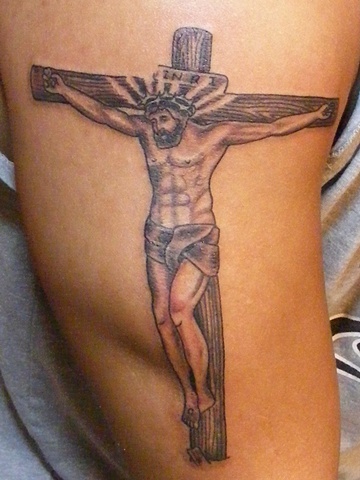 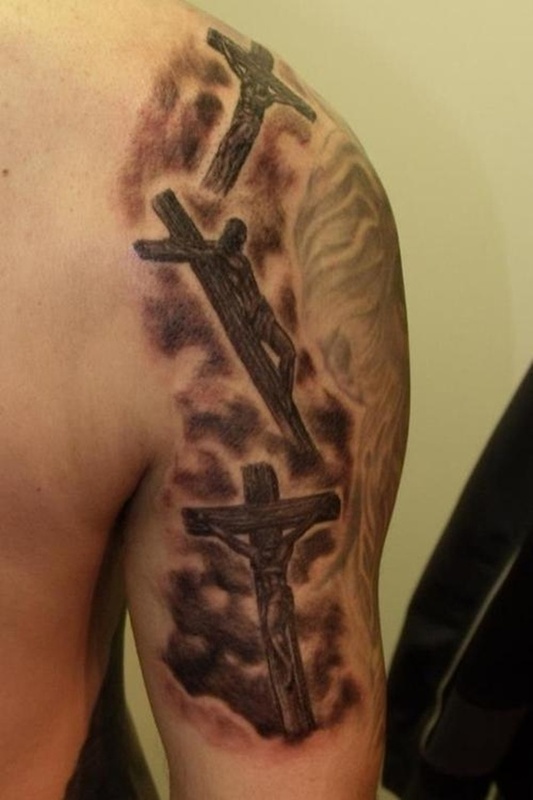 Religious and devotional, crucifix tattoos are for people who believe in the utmost sacrifice of Jesus Christ. 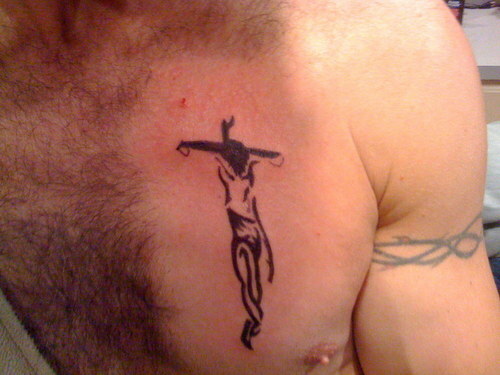 The crucifixion was an important and unforgettable part of the saga of Jesus Christ. 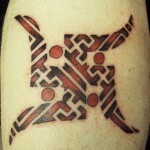 It also stands for a lesson that love and sacrifice win hatred and it is the forgiveness that can change the humankind. 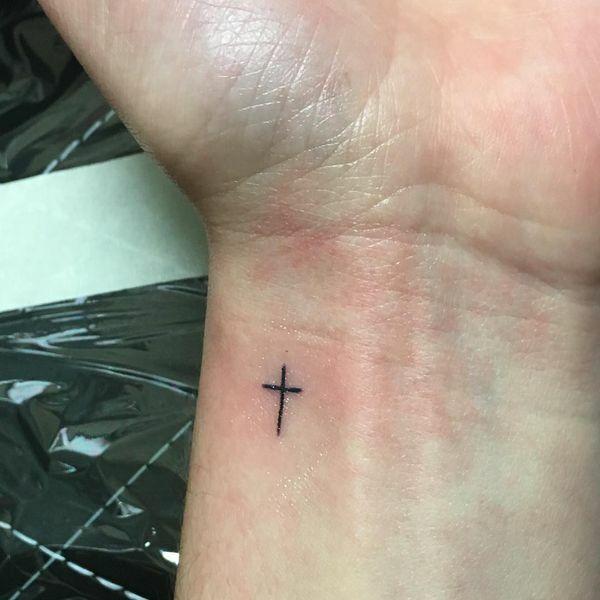 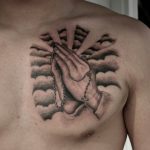 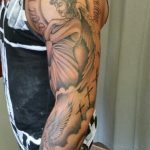 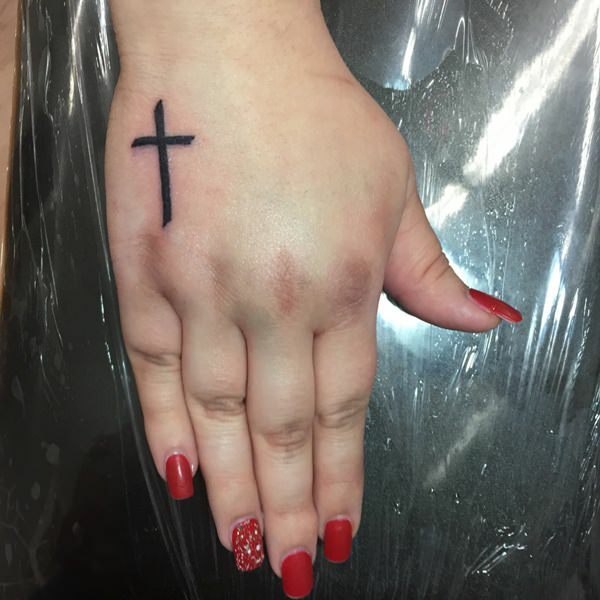 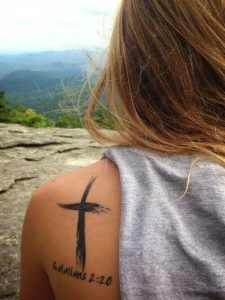 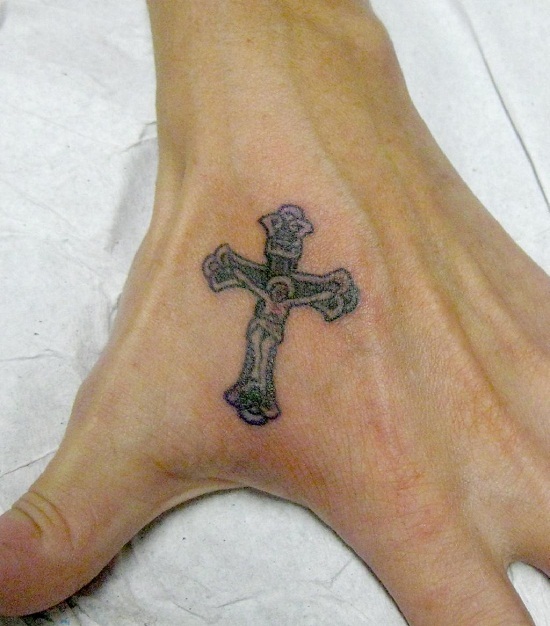 Christian people who love to have such religious tattoo often tend to choose this particular design to show their dedication and love for Jesus. 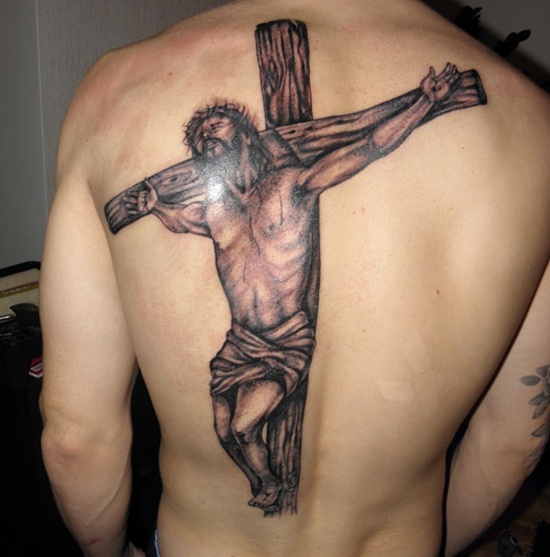 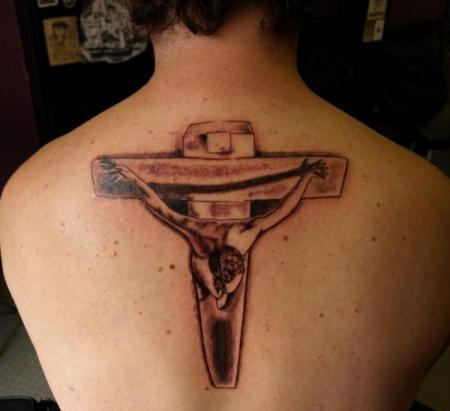 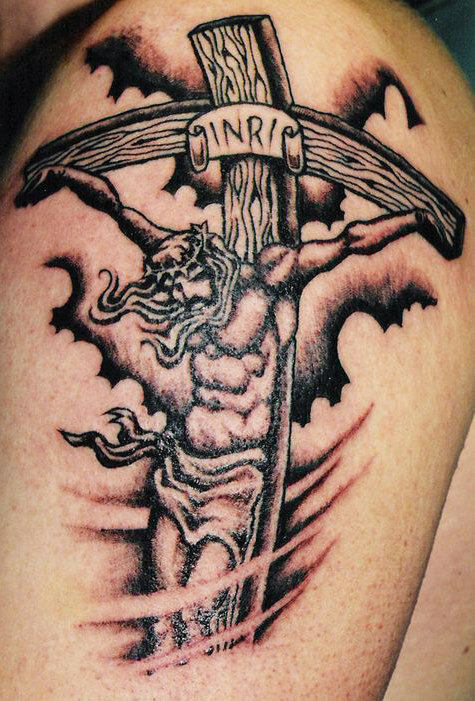 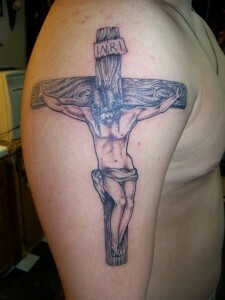 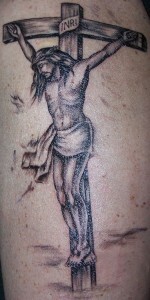 They also believe it is a kind of gratefulness for the son of God reflected through this tattoo.